A stout-rooted perennial introduced from Europe and spreading across southern Michigan in recent years along sandy roadsides, railroads, and dry fields. 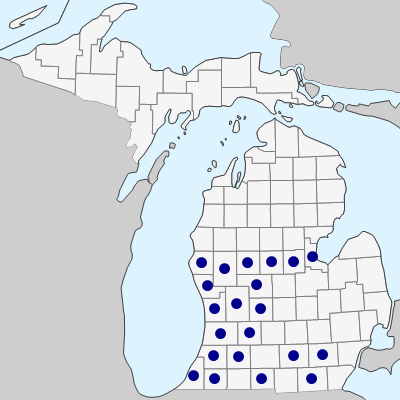 First collected in the state in 1934 in Kalamazoo Co. 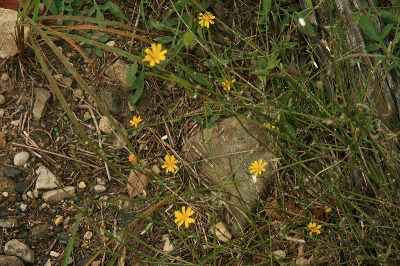 The pinnatifid basal leaves wither before the plant flowers and the linear cauline leaves are also mostly shed early, but this species is easily recognized by its dandelion-like achenes, much-branched rush-like stems, and narrow heads with yellow florets. MICHIGAN FLORA ONLINE. A. A. Reznicek, E. G. Voss, & B. S. Walters. February 2011. University of Michigan. Web. April 20, 2019. https://michiganflora.net/species.aspx?id=281.